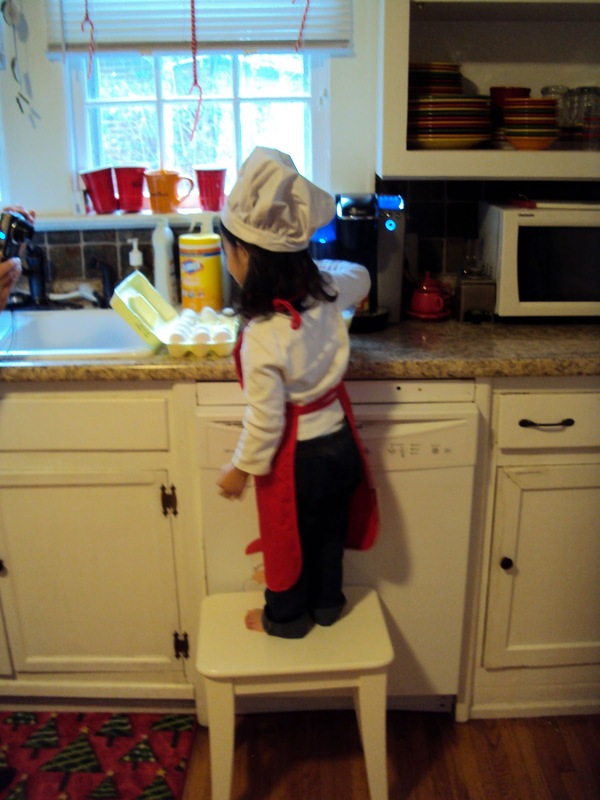 "I love to 'help' in the kitchen! 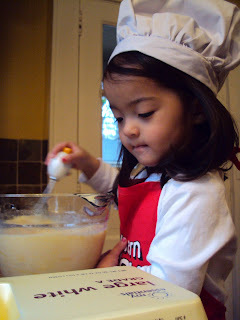 This Christmas, I got to 'help' Pop-Pop Tinkey make lemon bread." 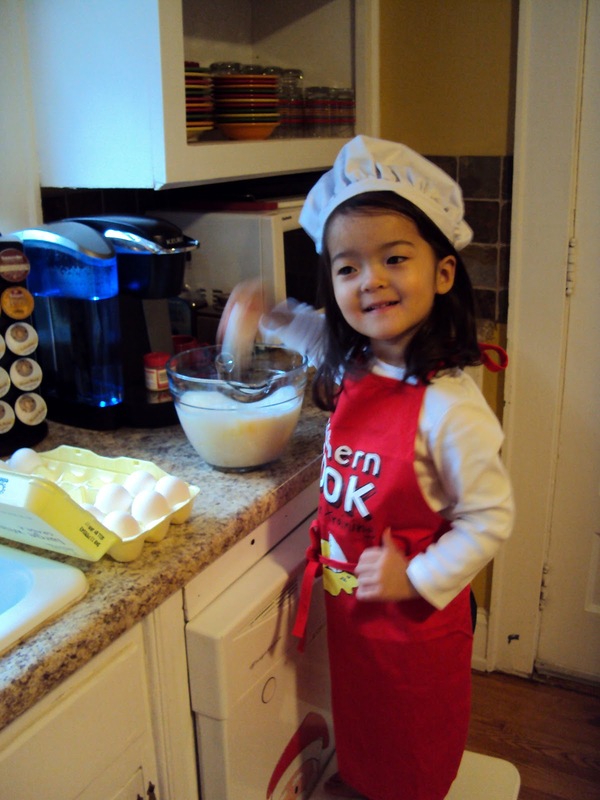 "Of course, I needed to wear an apron and my chef hat before we got started." 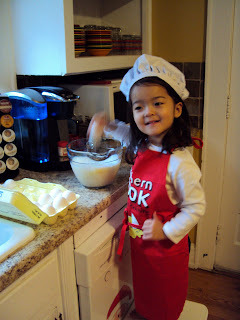 "Watch out- I whisk a mean batter!" "Hmmm... better consult the recipe to make sure we didn't forget any ingredients."